Developer Other Ocean (Dark Void Zero, #IDARB, NBA Rush), in partnership with publisher Majesco Entertainment Company, today announced that Sharknado: The Video Game is now available for download on iOS. Based on the film sequel “Sharknado: The Second One,” players assume the lead role as Fin as they race to destroy a series of shark-infested tornadoes threatening New York City in this thrilling action-adventure game. The game is available in North America starting today for $2.99, in anticipation of the film’s Syfy premiere on July 30. 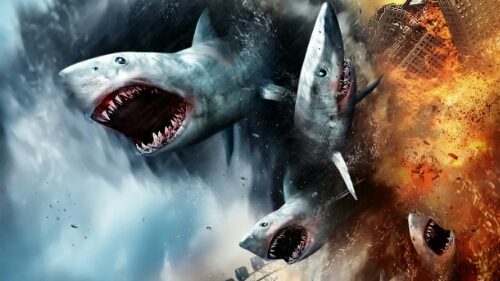 “We still haven’t seen the ‘Citizen Kane’ of video games, but at least we have our Sharknado,” he added. This entry was posted in 2, Developer, game, games, iOS, mobile, train, train 2 game, Train2Game, www.train2game-news.co.uk and tagged 2, game, games industry, iOS, Mobile Game, Other Ocean, Sharknado, Sharknado: The Second One, SyFy, train, Train2Game, Video Games by Train2Game Blogger Team. Bookmark the permalink.